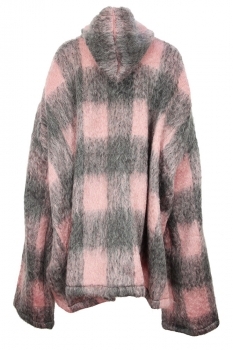 Barbara Bologna Tartan Asymmetric Hoodie in pink and grey mohair mix tartan. Hood with double zip fastening. Cut-away on right side with elasticated hem. Extra long sleeves. Oversized and awesome. 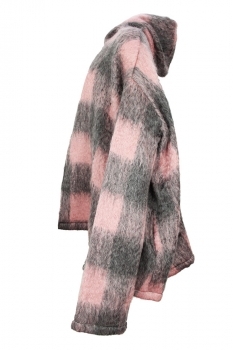 This is a unique and wonderful piece of clothing that matches the skirt and scarf. Brilliant!